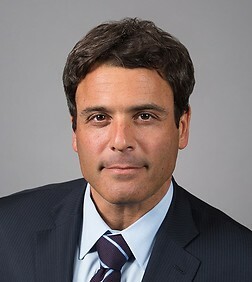 Jonathan Stoler is a partner in the New York office. He serves as Global Practice Group Leader of the firm’s Labor and Employment Practice and the National Non-Competition and Trade Secrets Team. Mr. Stoler's practice encompasses a wide range of labor and employment matters, including the defense of single plaintiff and class action discrimination, wrongful discharge and wage/hour claims, in addition to employment contract, non-competition, whistleblower, sexual harassment and related claims. He regularly represents clients in labor and employment litigations in federal and state courts, in arbitrations before the American Arbitration Association and the Financial Industry Regulation Authority, and in proceedings before various administrative agencies, including the Equal Employment Opportunity Commission, the U.S. Department of Labor and state agencies throughout the United States. Mr. Stoler has conducted numerous internal investigations and compliance inquiries for several U.S. and foreign corporations. He also represents clients in collective bargaining negotiations, labor arbitrations and all stages of the labor election process, including election campaigns and hearings before the National Labor Relations Board. Mr. Stoler regularly counsels both domestic and international clients regarding the preparation and administration of personnel policies and provides advice to clients regarding reductions-in-force, discipline and discharge, employee disability and leaves of absence issues. He also advises management on the labor aspects of mergers and acquisitions and the extraterritorial application of U.S. laws. Mr. Stoler is published and quoted frequently on a variety of employment law issues in major academic and business publications such as the National Law Review, The New York Law Journal, The Metropolitan Corporate Counsel and Employment Law 360, and is a frequent speaker at national and international programs. Mr. Stoler has consistently been recognized by The Legal 500 as among the best labor lawyers in the U.S.
Ares Management: Mr. Stoler leads a global team that represents Ares on its employment law matters throughout the world. TP ICAP (f/k/a Tullett Prebon): Mr. Stoler obtained a complete victory in a case spanning three years against a former employee and their current employer for breach of contract, breach of fiduciary duty, and tortious interference with contract. After a 3-day arbitration, the FINRA panel awarded approximately $2 million in damages and attorneys' fees and dismissed the employee's counterclaims with prejudice. He also obtained a complete defense verdict in a case seeking to hold TP ICAP liable for multi-million dollar bonuses claimed by risk arbitrage brokers. Mr. Stoler continues to represent this client, one of the world’s largest interdealer brokers, in employment matters throughout the US. CA, Inc. (f/k/a Computer Associates): Mr. Stoler successfully represented CA, Inc. in obtaining summary judgment against a former sales executive asserting claims of marital status and national origin discrimination, claims for unpaid commissions and severance, and claims for unjust enrichment and promissory estoppel. Modell’s Sporting Goods: Mr. Stoler has successfully defended this client against employment discrimination claims and other matters. Brooklyn Nets: This client regularly looks to Mr. Stoler to provide counsel and advice on a variety of labor and employment matters. US Bank: Mr. Stoler represents this client in multiple employment litigations including, but not limited to, promissory note recoupment and restrictive covenant enforcement matters. Holsa/EXSA Americas: Mr. Stoler successfully defended this client and its president against claims of pregnancy discrimination and race discrimination, obtaining a complete dismissal of all claims on a motion for summary judgment. Mulberry: Mr. Stoler serves as national employment counsel for this UK-based retailer. Orient Express Hotels/”21” Club: Mr. Stoler successfully represented this client in a wage and hour collective action alleging overtime and other claims asserted under the Fair Labor Standards Act and New York Labor Law. Sun Chemical Corporation: Mr. Stoler obtained a complete dismissal of breach of contract and ERISA claims asserted by the International Brotherhood of Teamsters, saving Sun Chemical millions of dollars in potential liability. Ornamental Installation Specialists: Mr. Stoler successfully represented this client in a preliminary injunction trial involving efforts by a competitor to its enforce non-compete agreements. Williams Sonoma: Mr. Stoler obtained summary judgment and defeated motion for class certification in wage and hour class action brought by drivers hired by third-party trucking companies and providing delivery services to Williams Sonoma customers. Israel Discount Bank: Mr. Stoler obtained summary judgment in multi-plaintiff action on behalf of Israel Discount Bank resulting in dismissal of 18 causes of action alleging race, color, gender, religious and ethnicity discrimination and retaliation under Title VII, Section 1981, the New York State Human Rights Law and the New York City Human Rights Law. Work force reductions are expensive and can hurt a company’s future. “New York Employment Law from A-Z,” Lorman Education Services, New York, New York, December 1, 2005.